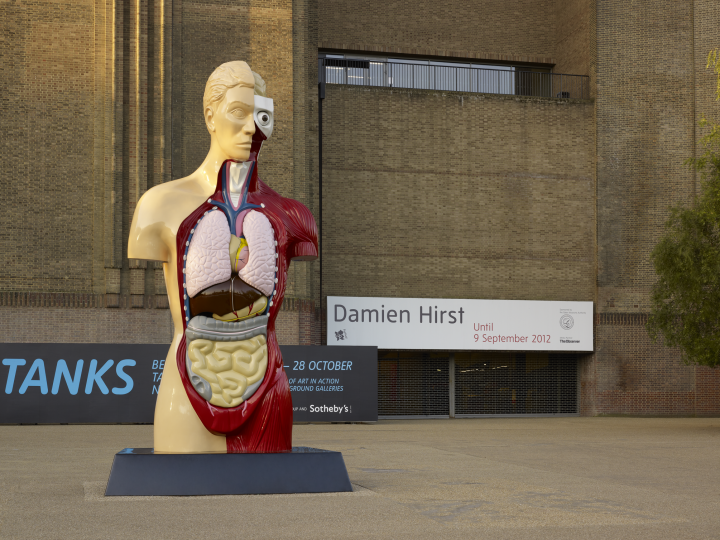 Damien Hirst grew up in Leeds, attending Allerton Grange High School. He went on to study at Leeds College of Art (then Jacob Kramer College) in the early 1980s, as Barbara Hepworth and Henry Moore had done 60 years earlier. Hirst first came to public attention in 1988 when he conceived and curated the group exhibition ‘Freeze’, an exhibition of his own work and that of his fellow contemporaries at Goldsmiths’ College. 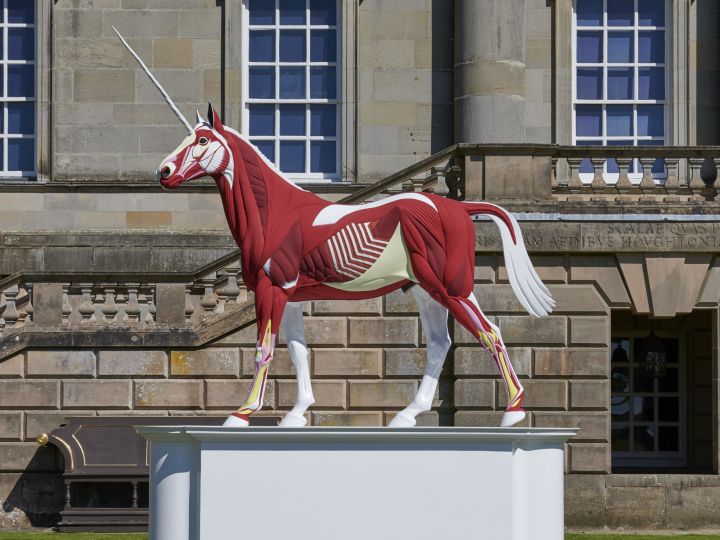 Hirst has become widely recognised as one of the most influential artists of his generation. He was awarded the Turner Prize in 1995 and his outstanding contribution to British art was acknowledged in a major solo retrospective exhibition at Tate Modern, London in 2012. For Yorkshire Sculpture International, Damien Hirst will show Hymn (1999–2005) and Anatomy of an Angel (2008) outdoors in Leeds city centre and Black Sheep with Golden Horns (2009) at Leeds Art Gallery. Charity (2002–2003), Myth (2010), The Hat Makes the Man (2004–2007), and The Virgin Mother (2005–2006) will be shown at Yorkshire Sculpture Park. 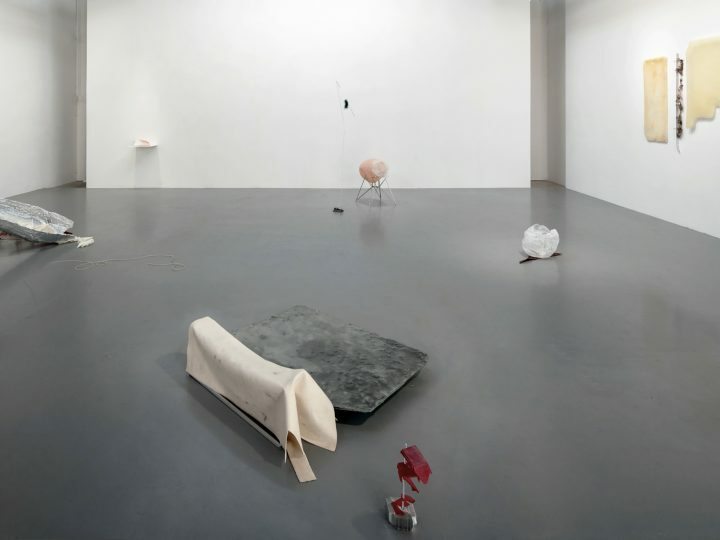 This presentation of sculptures marks a return to the city after Hirst’s first solo exhibition in Yorkshire, ‘Artist Rooms’ at Leeds Art Gallery in 2011.